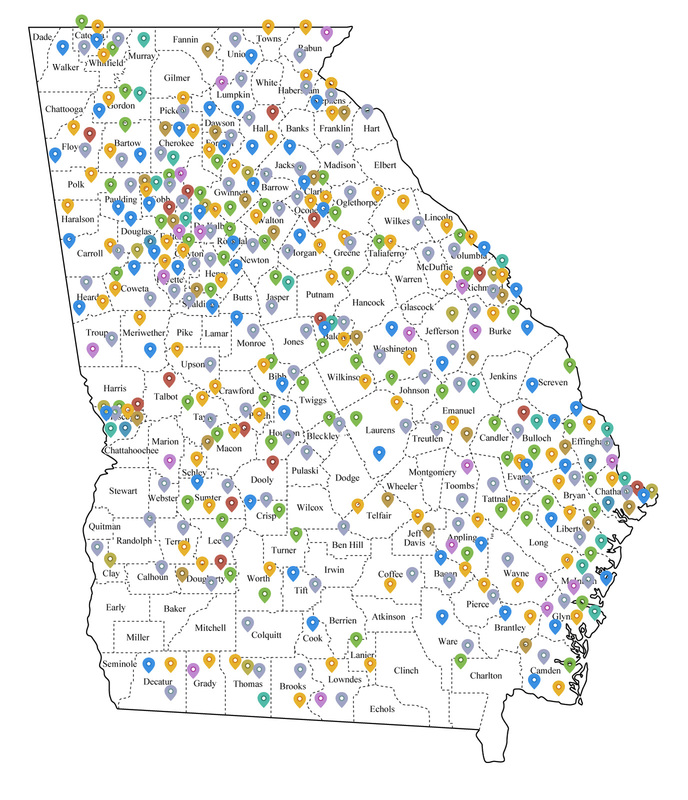 The map shown here represents the statewide reach of the Georgia Historical Society’s educational programming and research services over the past two years. Between 2014 and 2016, corporate and foundation support for GHS programs and services came from companies and organizations based in the counties shown. School groups from these counties traveled to the GHS Research Center for hands-on educational activities with GHS professional staff. New Georgia historical markers were erected across the state and on a wide variety of topics from January 2014 – December 2016. 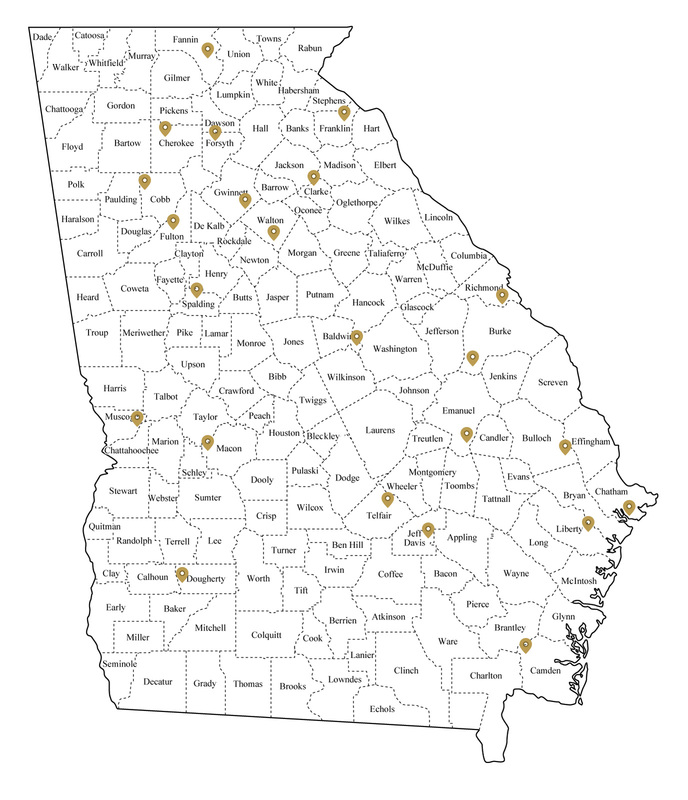 As part of GHS’s ongoing work to maintain over 2,000 historical markers across the state, markers in the counties represented here have undergone physical assessment and/or repair work (including cleaning, painting, overall refurbishment, new post, or total replacement) during the previous two years. 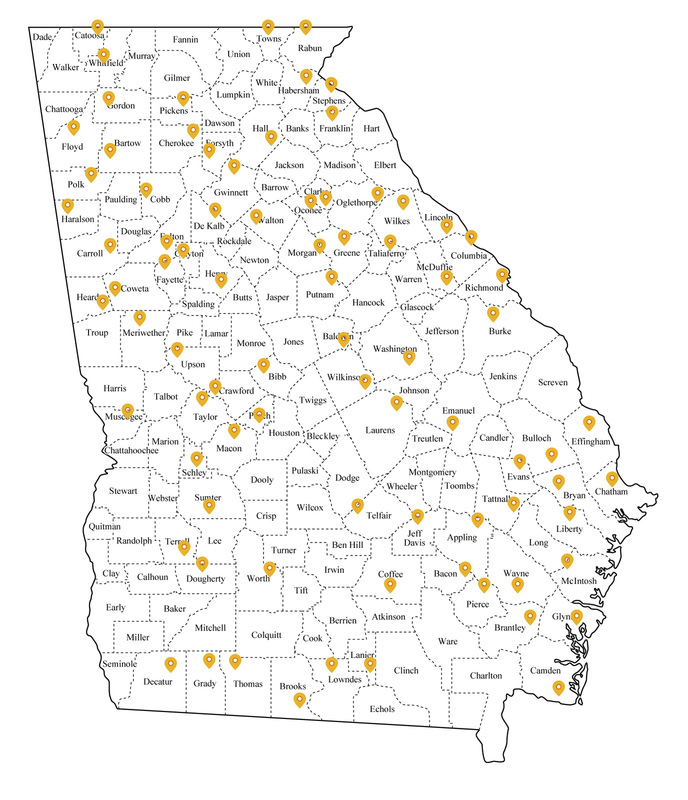 This map represents programs, presentations, and Affiliate Chapter consultations conducted by Georgia Historical Society staff from January 2014 – December 2016. 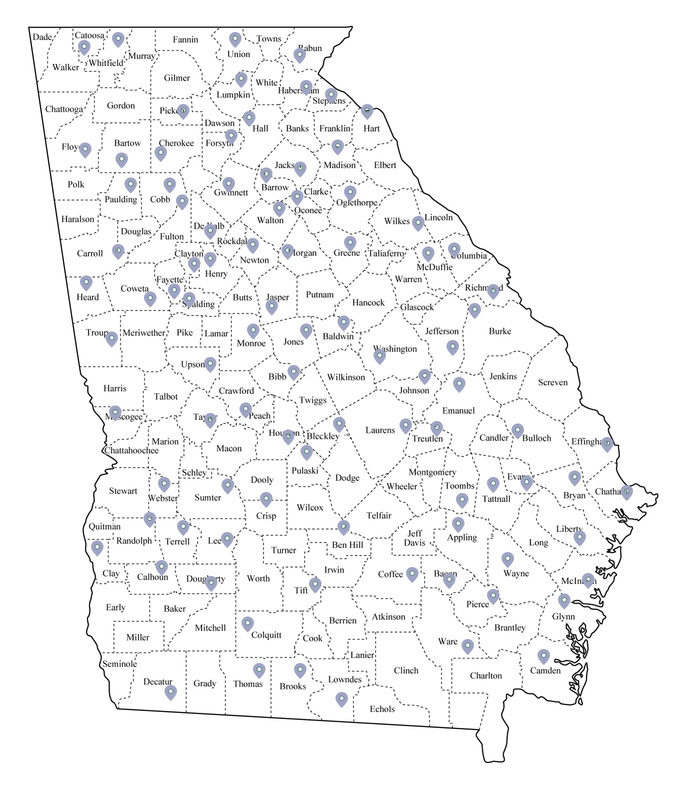 This map illustrates counties with local civic, patriotic, and historical organizations who were members of the Affiliate Chapter Program between January 2014 – December 2016. This map illustrates counties with GHS members between January 2014 – December 2016. The GHS Research Center hosts thousands of patrons visiting from all over the world each year. 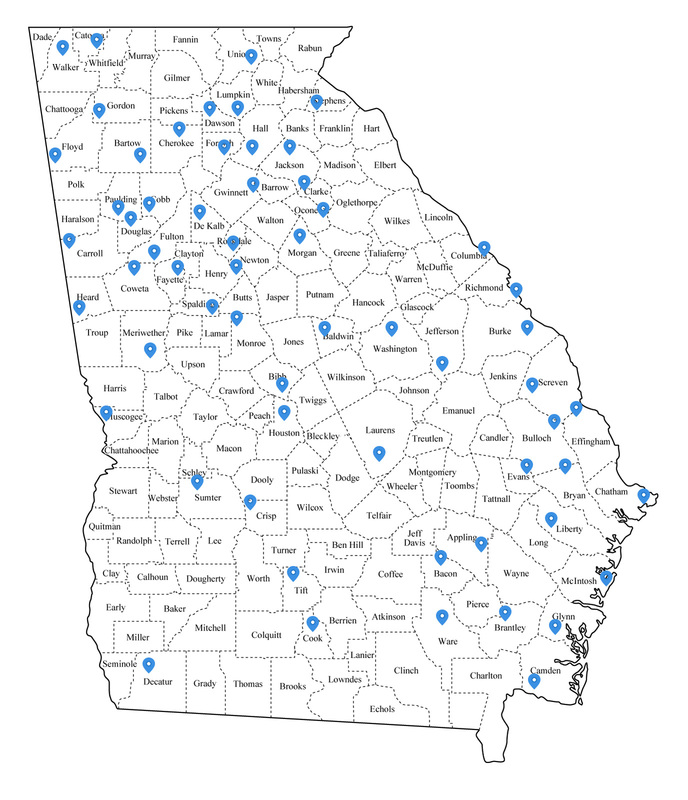 Included here are those onsite patrons visiting from counties within Georgia. GHS Research Center staff assist thousands of offsite patrons with research requests. 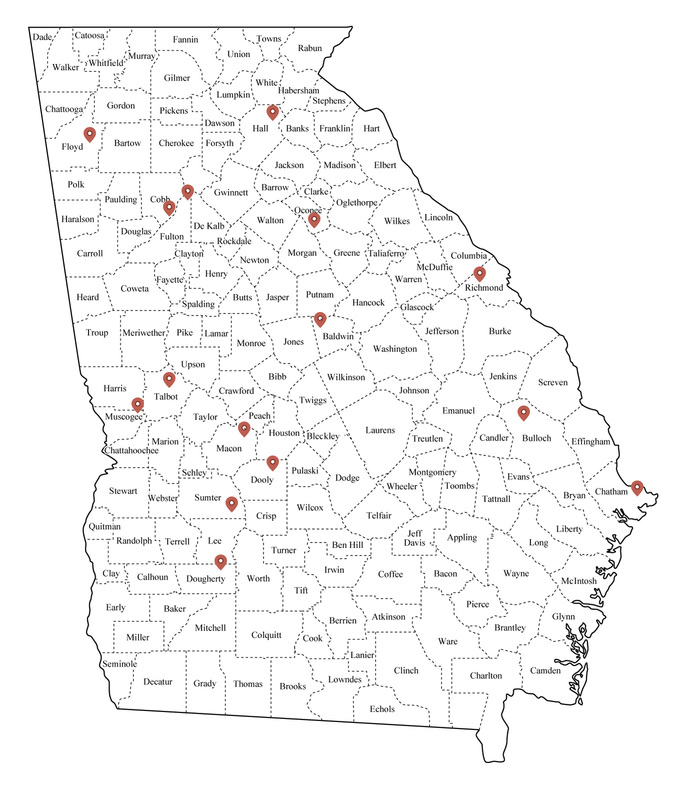 Most offsite research requests are received from outside of Georgia. Included here are those received from counties within Georgia.